GCL Securities is one of the high profile full service broker in India. 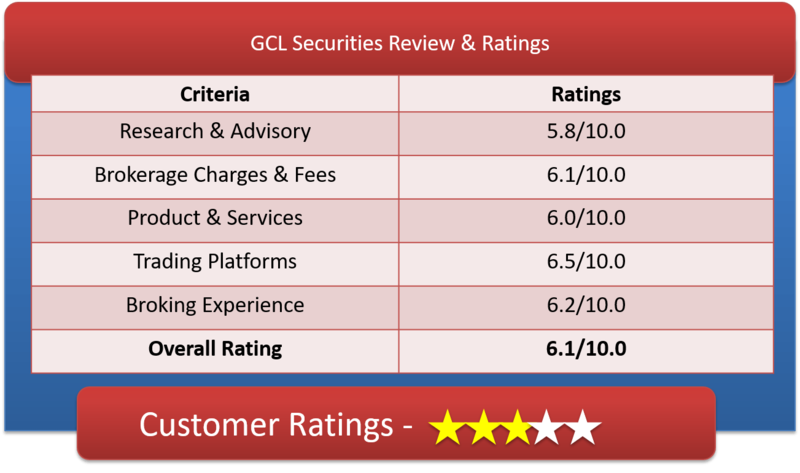 Lets go through the detailed GCL Securities Review, GCL Securities Demat Account, GCL Securities Brokerage Charges, GCL Trading platforms & other important features. Based in Jaipur, (Rajasthan) GCL Securities Private Limited is part of GCL Financial group of companies. GCL India allows you trading and investment in equity shares, derivatives (futures & options), currency, commodity, mutual funds & IPOs. The broking house has their membership in NSE, BSE, MCX, NCDEX. The brokerage house is run by team of experts from the capital market. On product and services, the full service broker has their own DP service registered with CDSL. The broker offers currency trading on both stock exchanges NSE and BSE. Commodity Services are offered through Ganganagar Commodities Limited. You have the privilege to choose from several customized as well as multiple brokerage plans to suit your commodity trading needs. GCL India provides customized end to end solutions in commodity management like procurement, physical delivery of all commodities, commodity financing on WR’s and hedging advantage with trading facilities. GCL provides you services for complete range of insurance solutions that covers both Life as well as Non-Life Insurance. They offer wide spectrum of investment schemes from top mutual fund houses available in India. You can do SIP (Systematic Investment Plan) Investment in Mutual Funds with GCL Securities for which you need not pay anything extra. GCL also provide you recommendations that are based on mutual fund ratings, in-depth research & performances updates, helping the clients meet your investment goals. The broker also offers free investment workshops to gain knowledge on investment basics that caters the need of investor education program. On customer services, GCL branches are teamed with dedicated financial experts to offer personal financial services for all your investment needs depending upon your risk appetite. Customer support is available through email, online helpdesk, phone call and also can be approached personally at any local branch for account opening and getting help with any investment needs. The branches are available in Ganganagar and Jaipur (Rajasthan) and Ahmedabad and Mehsana (Gujrat) and New Delhi. GCL Securities offer trading and demat account both free. AMC for both the account mentioned earlier is also nil. You must have Demat account(compulsory) with GCL along with trading account to avail all the benefits that comes with it. GCL Securities brokerage plan is near lowest in the Industry. The broker charges 0.10% for trading in equity cash segment, 0.01% for trading in equity Intraday and Future. Option trading can be done at Rs.25 per lot which shows cut throat competition. The GCL equity delivery brokerage of 0.10% is quite less expensive than almost all the big brokers, such as HDFC Securities, Kotak Securities, IIFL, ICICIDirect, Sharekhan, etc. In terms of Equity Intraday and Future traders, the brokerage rate of 0.01% is very less expensive that cannot be ignored. It’s the cheapest in the full service Broker Industry. Option Trading @ Rs.25/- per lot is equally adorable. Currency Option trading can be done @ Rs10/-. The brokerage is not disclosed online, they want you to approach them personally for any brokerage related queries and you will get the brokerage depending upon volume traded. 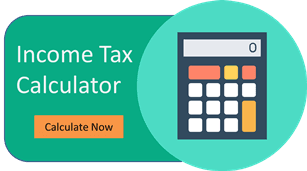 How to Open GCL Securities Demat Account? Why Open Demat Account with GCL Securities? All investment options – Equities, F & O, Currencies, Commodity, IPO, Mutual Funds. Free call and trade, for which many other brokers demand upto Rs25/-. Recommendations on Mutual Fund investment. GCL securities offer software based, web based and mobile App-based trading platforms at zero cost, which is quite very rare in trading industry. The web and desktop based software is through ODIN. This fully functional trading terminal is a light-weight easily downloaded application. This facilitates efficient trading and incorporates many appealing features required by active clients while trading. The website based trading is platform independent and accessible through any web browsers. The easy to use website has all possible features an investor need to execute trade in stock market. The broking house offer a simple, secure & easy to use and absolutely free Mobile Trading App. GCL e-lite Trader allows you for trading across equity, derivatives, currency and commodity on NSE, NCDEX & MCX. The app is only for Android phones. Trading on BSE is not available through mobile app. Live streaming quotes – commodities, stocks and future indices. List and grid view market watch available. Create up to 4 multi-asset watch lists updated with live data so you get comprehensive idea to trade. The brokerage looks fair and low as far as technology is concerned. GCL Securities need to be competitive & proactive and should bring new tools and value added services to attract today’s tech savvy customers. The Broker’s personal financial services through a dedicated team of relationship managers and dealers is going to be a plus point for you and can be seen as a factor to opt for them. With no account opening charges and zero AMC, you can for sure give GCL a try for your trading and other investment needs. Experienced team of Relationship Managers and Dealers. Provides solutions for commodity trading. Not transparent in brokerage charges and other fees like other brokers. Research available only for mutual fund segment.